British civil servant, educator and philosopher. Walter Terence Stace (17 November 1886 – 2 August 1967) was a British colonial civil servant, educator, public philosopher and epistemologist, who became best known for his writings on mysticism. Religion can probably out live any scientific discoveries which could be made. It can accommodate itself to them. The root cause of the decay of faith has not been any particular discovery of science, but rather the general spirit of science and certain basic assumptions upon which modern science, from the seventeenth century onwards, has proceeded. The real turning point between the medieval age of faith and the modern age of unfaith came when the scientists of the seventeenth century turned their backs upon what used to be called “final causes.” The final cause of a thing or event meant the purpose which it was supposed to serve in the universe, its cosmic purpose. Religion can get on with any sort of astronomy, geology, biology, physics. But it cannot get on with a purposeless and meaningless universe. If the scheme of things is purposeless and meaningless, then the life of man is purposeless and meaningless too. Everything is futile, all effort is in the end worthless. A man may, of course, still pursue disconnected ends, money, fame, art, science, and may gain pleasure from them. But his life is hollow at the center. Hence the dissatisfied, disillusioned, restless, spirit of modern man. It is not likely that science, which is basically the cause of our spiritual troubles, is likely also to produce the cure for them. Also it lies in the nature of science that, though it can teach us the best means for achieving our ends, it can never tell us what ends to pursue. It has been said that man lives by truth, and that the truth will make us free. Nearly the opposite seems to me to be the case. Mankind has managed to live only by means of lies, and the truth may very well destroy us. To be genuinely civilized means to be able to walk straightly and to live honorably without the props and crutches of one or another of the childish dreams which have so far supported men. That such a life is likely to be ecstatically happy I will not claim. But that it can be lived in quiet content, accepting resignedly what cannot be helped not expecting the impossible, and being thankful for small mercies, this I would maintain. That it will be difficult for men in general to learn this lesson I do not deny. But that it will be impossible I would not admit since so many have learned it already. The Need for a Secular Ethic (1949). It is not that science proves that the world is not moral. Science as such is not concerned with values, and proves nothing of the sort. Nevertheless, as a matter of history, it is science which has suggested this view to the modern mind by its insistence on mechanistic categories. To suppose that the world aims, as some human beings do, at noble ends, is plainly anthropomorphic. And perhaps the chief ground for refusing to admit purpose in nature is just that there is no evidence of it. The task of thought in our time is to replace the lost religious and metaphysical foundation of morals by a secular and naturalistic foundation. Emotions are subjective, but psychological laws or statements about emotions, if they are true, are objective truths. People are often mistaken about what is good for the health of their bodies. That is why we have doctors. And people are just as likely to be mistaken about what will be good for the happiness of their souls. That is why we have moralists. Morals have a perfectly firm and objective foundation in human personality. If men can be brought to understand this, then moral faith may be restored. The problem is really one of education. Time and Eternity - An Essay on the Philosophy of Religion (1952). All religious thought and speech are through and through symbolic. And this fundamental insight is perhaps as old as religion itself. How is it possible for both naturalism and religion - atheism and theism, if you prefer it - to be but two sides of one truth, is the same as the problem how God can be both being and non-being, as one of the most ancient religious and mystical insights proclaims he is, or how he can be both the Eternal Yes and the Eternal Nay, as Böhme affirmed. And we think that this ultimate blessedness differs only in degree from the happy and joyful experiences of our lives. Whereas the truth is that it differs in kind. The joys, not only of the earth, but of any conceivable heaven - which we can conceive only as some happy and fortunate prolongation of our lives in time - are not of the same order as that ultimate blessedness. Either God is a Mystery or He is nothing at all. But it is not an exaggeration to say that mystical experience is everywhere unitary in the same sense that everywhere aesthetic experience is unitary. 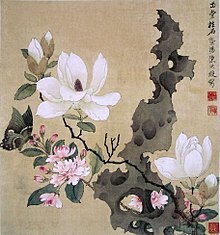 British, American, German, Indian, Chinese, Japanese art are of course very different from one another. Yet they have one root in their basic experience of beauty. Thus to say that God is ineffable is to say that no concepts apply to Him, and that He is without qualities. But the divine mystery is inherent in the divine, a part of the nature of God, and can never disappear. And this means that it is still a mystery even to the mystic who has directly experienced it, nay, even to God Himself. That is why it is ineffable. The mystery and the ineffability of God are one and the same thing. It is only by intuition that the infinite can be apprehended. But why is this? Why cannot the infinite be apprehended by concepts? To see this we must understand that the word "infinite," in the religious sense, has nothing at all to do with that sense of the word in which it is applied to space, time, and the number series. We may call this latter the mathematical infinite to distinguish it from the religious infinite. And it is the confusion between these two which misled us into the false trail of supposing that the infinity of God's mind refers to the amount of His knowledge and that the finitude of man's mind refers to his ignorance. The religious infinite, or in other words the infinity of God, means that than 'which there is no other. In this sense neither space nor time could be infinite, since space is an "other" to time, and time is an "other" to space. It is a commonplace that eternity is not an endless prolongation of time, has nothing to do with time. Eternity is a characteristic of the mystical experience. The word eternity doubtless meant originally endlessness of time, which must count, therefore, as its literal meaning. But in its religious and metaphysical use it is a metaphor for the characteristic of the experience. For in that experience time drops away and is no more seen. Thus when Plotinus speaks of "the flight of the alone to the Alone," and the positivist or the empiricist asserts that these words are meaningless, he is right. Yet this does not import that the words are nonsense locutions, mere senseless noises which a man makes like a cough or a sneeze though it is possible that this is what the positivist intends. If this were so, it would be impossible to explain why generations of men have quoted those famous words. The explanation is that the words evoke in us a measure of the same experience which the author of them had. Our experience may be but a dim reflection of what was in him bright and clear. Our spirits vibrate faintly in unison with the soul of the great mystic, as a tuning fork vibrates faintly in response to the sound of the clear bell. But it is our own spontaneous experience which is evoked; it is not his experience which is communicated to us. His words are as grappling irons let down into the depths of our subconsciousness, which draw our own inner experiences nearer to the conscious threshold. But they are not, for most of us, drawn above the threshold. They remain below the surface faintly visible. Therefore they appear at the upper levels of our consciousness as faint hints, glimpses, and sometimes as mere vague feelings. The same character of revelation, which we find in poetry, attaches to mystical illumination, although here the revelation is always the divine. The true religious doctrine is that the world is to be both denied and not to be denied. The pure religious consciousness lies in a region which is forever beyond all proof or disproof. If God does not lie at the end of any telescope, neither does he lie at the end of any syllogism. I can never starting from the natural order prove the divine order. The proof of the divine order must lie, somehow, within itself. It must be its own witness. For it, like the natural order, is complete within itself, self-contained. The great error of traditional proofs of the existence of god is that they try to take a symbolic truth for a literal truth, a truth of fact, and then try to prove that it is a fact. It must now be added that these attempts at proof not only fail of their purpose, and so do no good to religion, but that they positively degrade it. There is no such thing as natural theology. God is either known by revelation - that is to say, by intuition - or not at all. The Teachings of the Mystics (1960). The word "mysticism" is popularly used in a variety of loose and inaccurate ways. Sometimes anything is called "mystical" which is misty, foggy, vague, or sloppy. It is absurd that "mysticism" should be associated with what is "misty" because of the similar sound of the words. And there is nothing misty, foggy, vague, or sloppy about mysticism. The incommensurability of the mystical with the sensory-intellectual consciousness is also the ultimate reason why we have to exclude visions and voices, telepathy, precognition, and clairvoyance from the category of the mystical. The most important, the central characteristic in which all fully developed mystical experiences agree, and which in the last analysis is definitive of them and serves to mark them off from all other kinds of experiences, is that they involve the apprehension of an ultimate nonsensuous unity in all things, a oneness or a One to which neither the sense nor the reason can penetrate. Mystics more often than not avoid direct reference to themselves. It is certainly the case that there can exist an atheistic mysticism, a mystical experience naked and not clothed in any religious garb. Thus we see that mysticism naturally, though not necessarily, becomes intimately associated with whatever is the religion of the culture in which it appears.